We’re still awaiting some Recon Team reports, but are hopeful to get the next book out next week. Thanks for all the suggestions you’re making so far. Very helpful! In the interim, here’s the paperback cover. The covers of Marine Cadet and Renegade Legion don’t relate to a specific scene in the books. The ship on the cover of Indigo Squad is Beowulf and the deck plans match the image. We continued that idea further with Human Empire. The front cover image is actually a scene from the book. Image (c) Algol, shutterstock.com. Click for a closer look! when will it be on Amazon UK Kindle?? Hi Pete, we’re still finalising the text, but I’m very hopeful it will be out in all the Amazon Kindle stores by the end of next week. Thanks. Damn, that is looking sharp!! Well done, glad to know it represents a scene in the book! 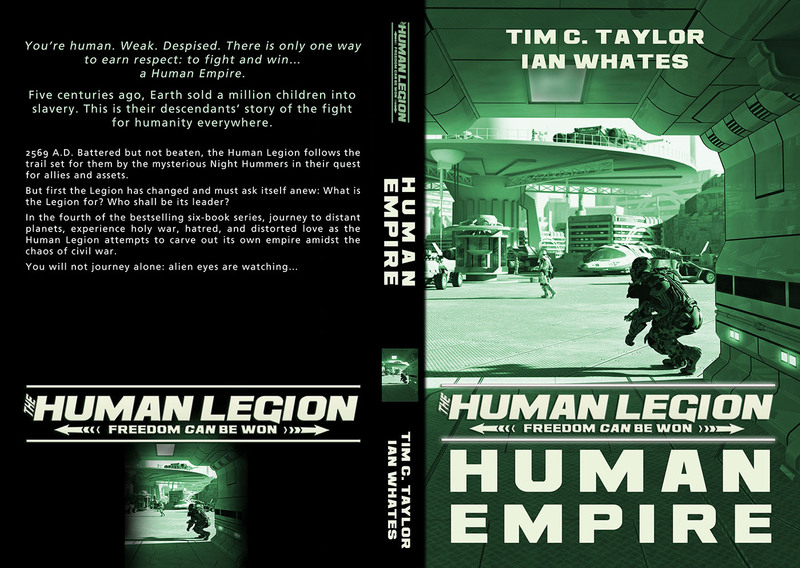 I like the cover for Human Empire. Don’t know if anyone else has noticed similarity of the craft behind the crouching warrior and the little tractor to dare I say it the spacecraft from an old series called “Space 1999” that was used to ferry people around. Otherwise looking forward to the next book being on sale. I Googled the show and from what I found saw no similarities. That said, I am sure that there was plenty of stuff Google missed about a show that wasn’t current.